Lutterworth Sound & Vision became Max Electrical on Saturday 26th September 2015, marking the first name change in the stores history since it was established in 1984. The business has expanded in the past three decades to offer much more than just sound and vision, and wanted a name to reflect that. 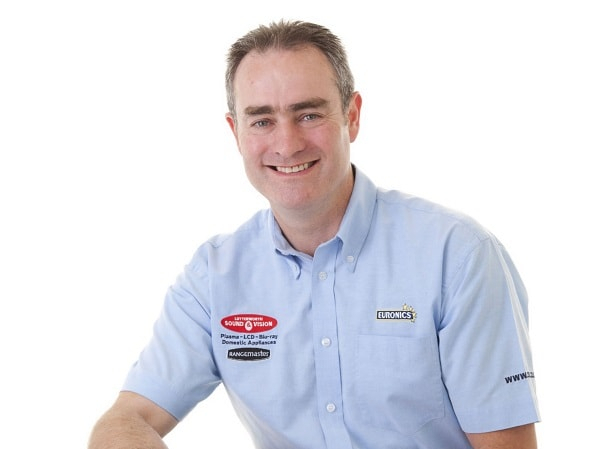 Owner Ian Jones said "With the same people offering the same award-winning service, Max Electrical represents who the company is today, taking it to the max with choice and service. Over the past 30 years our product range has grown and our showrooms expanded to the point that we outgrew the name of Lutterworth Sound & Vision." "We know that some people have no idea that we stock such a huge choice of appliances from top brands such as Samsung, Panasonic, Bose, Sonos, Neff, Bosch Hotpoint, Rangemaster, Semg and so on." Ian adds "Max Electrical wants everyone to come and see what keeps their regular customers coming back time and again. 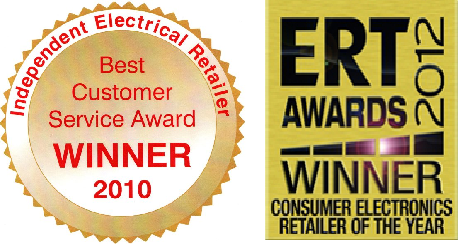 It is the in-store experience and after sales service that really makes us stand apart from other electrical retailers." All appliances in the newly refitted showrooms are set up for demonstration, from induction cooking to surround sound systems and the latest 4K TVs. Thanks to our own large warehouse, many products can be delivered same day or next day locally, and within a 50 mile radius. But as members of Europe's largest buying group Euronics and with direct access to manufactures stock, we can offer thousands of electrical appliances at competitive prices." "All appliances are delivered and installed by our own expert team"
We are very easy to find: Located to the south of Leicestershire - just 2 minutes drive from junction 20 of the M1 or A426 Leicester to Rugby, A5 from Hinckley and M6 and A14 are right on our doorstep Max Electrical, 2 Church Street, Lutterworth, Leicestershire, LE17 4AW. Parking is available on High Street, Church Street and behind the shop on George Street. Our brand new Bosch, Neff, Bose, Panasonic & Samsung shop fittings allow us to demonstrate and display a representation of each of the manufacturer's range. Our showroom boasts over 90 appliances on display including over 17 range cookers and over 30 TV's ready to be expertly demonstrated. We're the largest stockists of Rangemaster, Bosch, Neff, Bose, Sonos & Dimplex Electric Fires in the area. We are an Authorised Bose Reseller, Samsung Blue Ribbon Store, Rangemaster Design Centre, meaning we get the best buying terms and latest offers. Our friendly and knowledgeable sales staff are fully trained with the latest technology and able to give expert advise. All of our products are set up and ready for demonstration from Electric Fires to Induction Hobs, Headphones to Surround Sound Systems. Free Local Delivery Locations: LE8, LE9, LE10, LE16, LE17, LE18, LE19, NN6, CV7, CV11, CV12, CV21, CV22, CV23, Not listed? Phone 01455 557177 and we will advise. Being a part member of Euronics (Europe's largest buying group) it gives us access to a huge range of appliances and gives us excellent buying power for us to give you competitive prices. We are very easy to find: Located to the south of Leicestershire - just 2 minutes drive from junction 20 of the M1 or A426 Leicester to Rugby, A5 from Hinckley and M6 and A14 are right on our doorstep. Lutterworth Sound & Vision Ltd, 2 Church Street Lutterworth, Leicestershire, LE17 4AW.